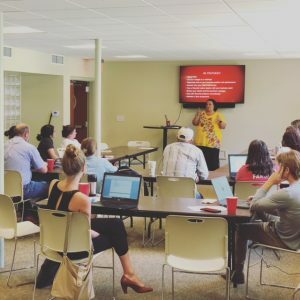 On July 12th, Farmers from all around the state of Texas gathered in Elgin, Texas at the Fleming Community Center to discuss and learn about funding and financial planning for agricultural ventures. A big thanks to our event partners the Alamo Ranch Farmers Market and the Alliance for Rural Impact for all of their hard work! Thank you Elliott from Alamo Farmers Market for making this happen and great job on this Travis!